I love gifting — it’s really my favorite part of the Holiday season. Finding the perfect gifts, wrapping them with all the cuteness… bring it on! Customized gifts are the best gifts ever because they have that personalized touch. They are fun to create, and nothing beats the reaction of someone who has just been given a gift made especially for them. The thoughtfulness of a customized gift is always appreciated! This, my friends, is why I love Zazzle so much. So I’ve picked out a few of my favorites this year to share with you, in hopes that you can find some inspiration for your holiday gift-giving. 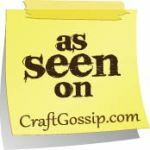 I love the stamped jewelry trend, and Zazzle makes it so easy to order. This gorgeous circle pendant I had made for my sister — the initials c & t are for Casey and Trevor, her two kids. I just love the rustic but still chic look of it. And my goodness, can you say packaging love?! I’m a sucker for natural wrappings. You can find this necklace available to be customized here. Another favorite of mine are prints on wood. These are soooo cool. They come in various sizes, and come with a cool little stand so you can put in on a shelf instead of hanging it. I chose a picture of my boys walking down the sidewalk and added a lovely brother quote. These look great in color, sepia tone or black and white. Such a fun and unique gift! You can create your own wood print here. I wanted to find a good family gift — or a gift for the kids — and I found one that suits both with this custom puzzle! My boys both love doing puzzles and we do them together ALL THE TIME. I decided to use a brother picture from this year’s school pictures so that it would be fun for the boys to work on it together. Here is Logan trying to figure it out! You can create your own puzzle here. Last, but certainly not least, a gift for the fur-baby or your favorite fur-lover. These dog bone ornaments are SO CUTE! You can choose the color of the writing and customize the name — I can’t wait to give this to Akino’s Mommy & Daddy for Christmas! You can create your own dog name ornament here. So there you have it – some of my favorites for this season! 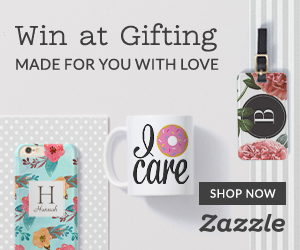 Be sure to check the coupon page before shopping, as there is ALWAYS a good deal happening at Zazzle! 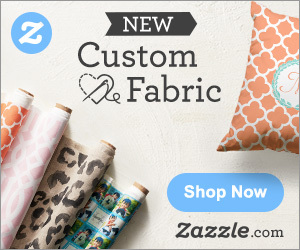 *I am a Zazzle affiliate and will receive a small compensation for any products purchased via my links. I wouldn’t share it if I didn’t love it! This entry was posted in Design Love, Everything, Gift Ideas, Products and tagged art, bestfriend, bestie, birthday, boys, brother, christmas, custom, customgifts, cuztomized, dad, design, designed, dog, furbaby, gifting, gifts, girls, handstamped, Holiday, jewelry, kids, mom, necklace, ornament, ornaments, personalize, personalized, pet, picture, puzzle, puzzles, silver, sister, stickelberry, wood, woodart, xmas, zazzle on December 3, 2016 by Danielle Stickel.